The Tolle Hall, also known as the Court Chamber or the Court House, stood in the Borough close to where the War Memorial stands today. For decades the Tolle Hall served as the Yeovil borough court house and gaol. It was also the borough treasury. The Tolle Hall dates to before 1615 as there exists a Portreeve's account roll for this year in which monies were spent on repairing the building. 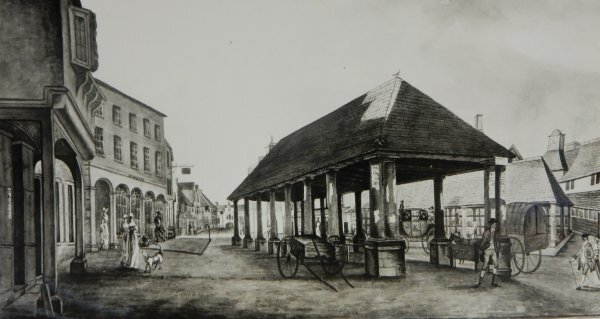 It is illustrated in a water colour, showing the Borough in 1810, and appears as a two-storey building surmounted by a clock - see gallery below. The Portreeve’s Accounts of the 18th century frequently refers to annual payments for repairing the clock or ‘horolitch’. Also on top of the building was a bell with the inscription "John Traske, Portreeve, 1630." 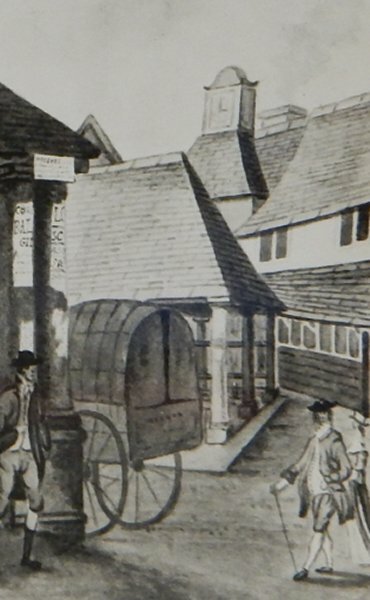 The town's Watch-House or lock-up was in cellars of the building - see photograph below - and there are payments recorded in the Portreeve's Accounts for supplying clean straw for the gaol. It was also known as the ‘Blindhouse’ because the room used for the gaol, being in the cellars, had no windows. 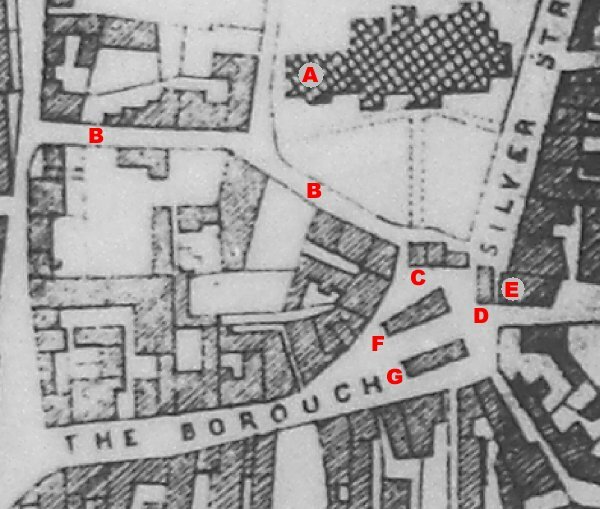 Other local names for the lock-up were the Stockhouse, because felons might be taken from the lock-up to the stocks outside in the Borough or vice versa and, because the cellar is almost adjacent to St John's churchyard, it was also known as Hell's Gate. By the time of the watercolour, however, the Tolle Hall was in a very bad state of repair and part of it had actually already fallen down resulting in the loss of some of the town's important records. Indeed, in a report to the House of Commons by the Church Commissioners in 1820 was noted "the falling down of the court chamber some years ago." The Portreeve's Account Book contains an entry for 3 May 1824 which shows that building a new prison was under consideration "At a Meeting of the Corporation duly held this day for the purpose of taking into consideration the propriety of erecting a prison for their use, it was unanimously agreed that a piece of ground situate in Quedam Street (now Vicarage Street) Seventeen feet in front and twelve in depth be purchased of Mr Greenham for the sum of fifty pounds." In fact the plans for building a new prison were abandoned and Mr Greenham was allowed by the Corporation the sum of £15 in lieu of the intended purchase. Nevertheless, the Tolle Hall remained in use and by the 1830s it had literally been falling down for years. In January 1838 a prisoner in the Watch-House died while in custody leading to two watchmen, James Beare and George Hill, having to stand trial for manslaughter. The case is reported in full here. The Tolle Hall was largely replaced by the Town House in Union Street, which opened in 1849. A painting made in 1810 of the Borough looking towards High Street which runs to the distance at left. The building at centre was the Market House, built in 1740, and behind it to the right was the Butchers' Shambles, built in 1803. The Tolle Hall is seen at right, surmounted by its clock or 'horolitch'. An enlargement of the painting showing the Borough in 1810. The Tolle Hall is seen at right, surmounted by its clock or 'horolitch'. 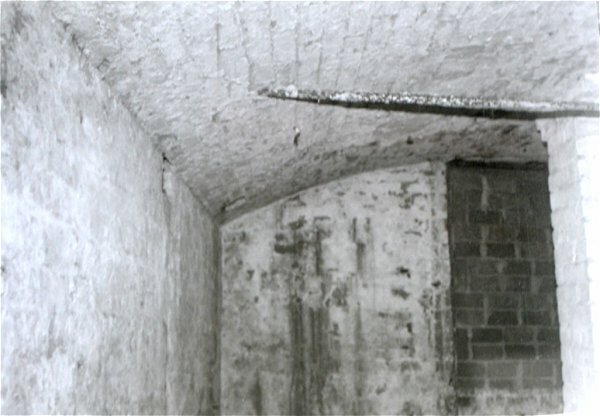 The basement of the old Tolle Hall, the original town lock-up or 'blindhouse', still remains under the Borough by the War Memorial. You could spend time here for relatively innocuous crimes, for instance on 10 December 1842 the Sherborne Mercury reported "Thomas Kennison, for being drunk and disorderly in the streets on a Sunday, 14 day's imprisonment." Because the cellar is almost adjacent to St John's churchyard, this cellar was known as Hell's Gate.